Before the advent of marketing automation and analytics, identifying the content which best drove engagement and conversions was difficult. Businesses could produce blog after blog – and while those blogs would drive more traffic to the website, it was hard to understand which of them were responsible for the bulk of traffic and which received the most engagement. But long gone are the days where marketers had little insight into what content truly engaged and resonated with their audience. 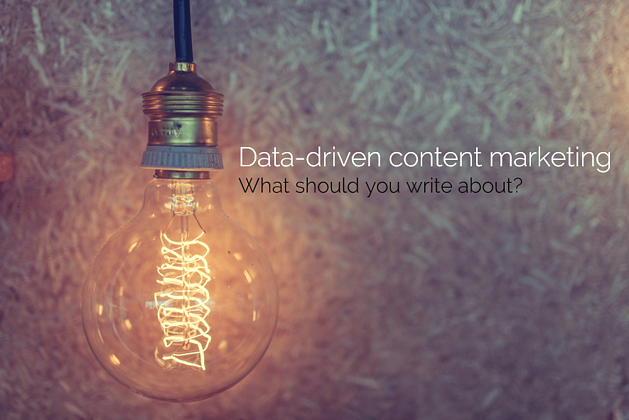 With the analytics tools that exist today, content marketing is increasingly data-driven. Marketers have the tools that enable them to measure the influence of their content – and can use that information to create data-driven content marketing strategies. Despite this, marketers are struggling to produce engaging content. 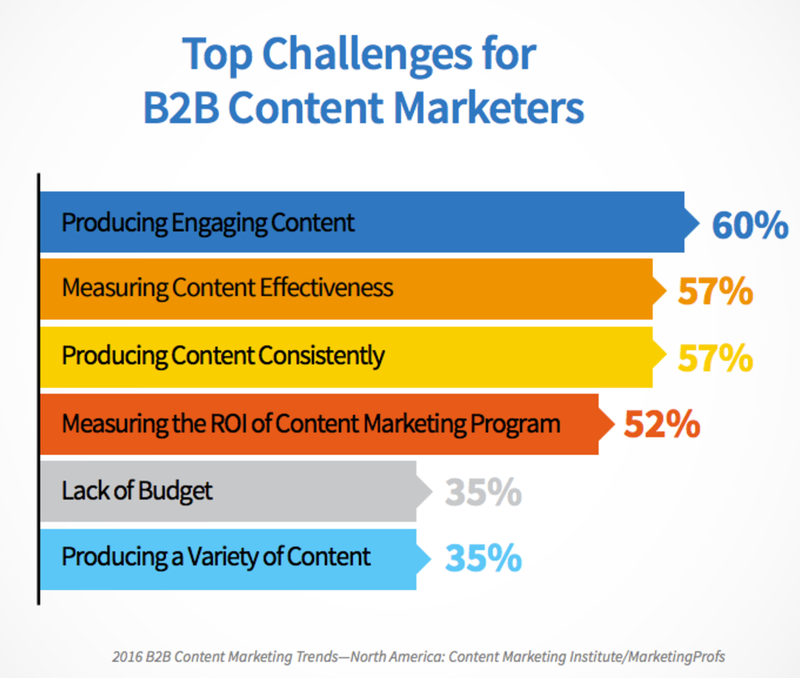 The Content Marketing Institute’s 2016 B2B Content Marketing Trends report highlights that 60% of its respondents were struggling to produce engaging content. Clearly, even with the tools available, some marketers encounter difficulties when trying to decide on what content to create next – and how best to go about it. The answer is a data-driven content marketing strategy, but how should they start? Firstly, to develop a data-driven content marketing strategy and determine what content to create in the future, you must look at what is working already. If you have the right tools at your disposal to measure your content’s performance metrics, perhaps Google Analytics and HubSpot, you are already in a position where you can see what drives traffic and what your audience engages with. The next step is to categorise your content by specific topics, as this will enable you to get a broad view of topic performance and how your audience engages with each of them. Next, look at how many posts you publish on each topic. Why? Well, for example, let’s say you have produced a single blog under the category of SEO, while you have produced five blogs under the category of email marketing. Each topic generates the same amount of traffic, but the single SEO blog is five times more effective than those under email marketing. This is tremendously useful information to have – and without analytics, would not be possible. Then, with this information, you can begin to create a data-driven content marketing strategy, focusing more on SEO topics instead of email marketing to better serve your audience’s interests. In addition, there are also tools to help you with prescribing content, such as Concured. Concured provides content marketing artificial intelligence, helping marketers to analyse content at scale and identify the topics which best drive engagement and ROI. Regardless of the amount of content your business creates, it’s vital that you have a solution capable of monitoring and measuring your success. Of course, what constitutes “success” will depend on your business’ marketing goals but it’s vital that you monitor the metrics that reflect your business’ goals. Participating on discussion boards and social media channels relevant to your business’ audience is an incredibly easy way of finding out what content is engaging. It’s important to regularly investigate the channels relevant to your business to find out what’s being said – and what isn’t. For example, if you routinely participate in LinkedIn groups dedicated to Inbound Marketing, you can quickly find out which topics are generating the most interest. Similarly, on Twitter, looking for content that has been retweeted and commented upon will help you to identify topics of interest to your audience. With more traditional online media, scanning top publications, social channels and discussion forums relevant to your business’ industry area will help you to identify the topics which resonate with your target audience and subsequently, help you to generate a plethora of topic ideas. You may have noticed Google’s ‘People also ask’ box – an expandable grid box with a series of questions involving the search term you typed into Google. Each of the questions can be expanded by clicking the arrow next to them to reveal an answer, drawn from a specific page. 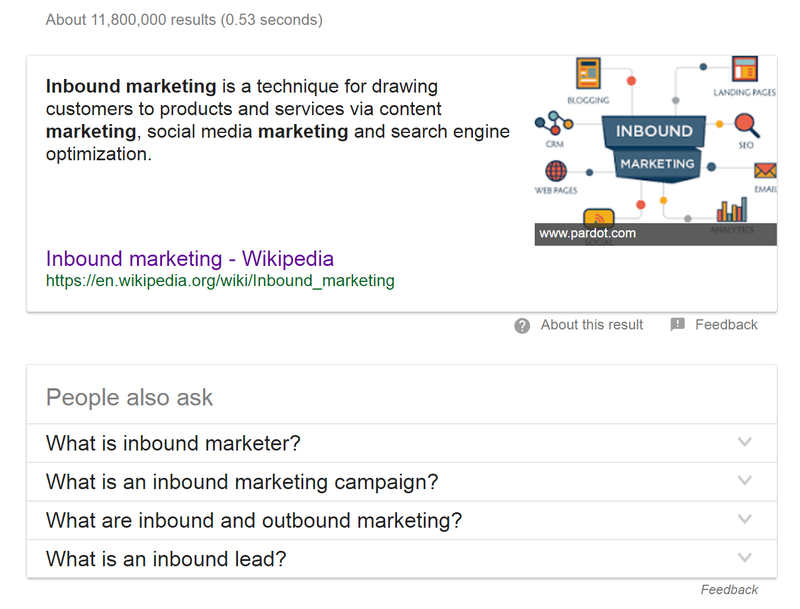 The ‘People also ask’ box does not show up for every search term, however – and more often than not, Google only creates these boxes for the most general and high-demand search terms. You can then use these questions to form your next blog topics and slowly build a library of content around a central pillar idea – a content cluster that deals with everything relating to Inbound Marketing. Better poised than most, your business’ salespeople consult and engage with customers every day of the week, so they – arguably – have the best understanding of your audience’s actual needs and problems. On that basis, leverage the expertise of your salespeople – they know the problems your prospects and customers struggle with on a day-to-day basis and can help to provide content suggestions and recommendations to help solve those problems. 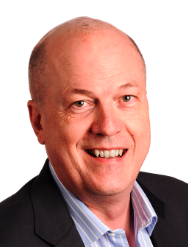 Think about setting up regular meetings with your salespeople and querying them on what conversations they have with prospects and customers and the questions and problems that they have. Remember that the content that you create to engage with your prospects and customers must be clearly based upon the buyer personas that you have created in order to understand your target audiences. The clear way to define this is with a content matrix that maps buyer personas against top, middle and bottom-of-the-funnel content for each of the products or services that you offer. The result is a framework that ensures that you have enough content of differing types targeting different profiles (personas). Clearly, the best way to identify what content is being read and engaged with involves large amounts of research, which you and your team may not have time to undertake. There is surely a market opportunity for the technology to assist you with this activity. Tip #28: Content marketing is increasingly data-driven, your previous blog posts, eBooks, whitepapers – every content asset – has data that can be leveraged by your business to deliver vital insights into what content should be created in the future. Ensure you have the tools in place to measure the influence of the content you create and how your audience is engaging with it. Then, use that information to inform future content creation.